The google adsense is wide and well trusted globally, it has a lot of policy guiding it and if you fail to do or follow it you might get banned for life time or some period. Today we will be talking on how to transfer your adsense account to another google account and I know many of you who might have google adsense don't know how to perform this operation, all you need to do is to follow this steps carefully. 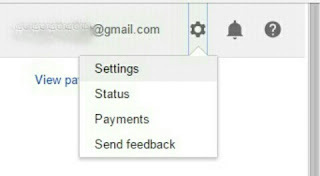 First you need to create a New Google Account or you get a friend gmail which you will like to invite. "zealmat@gmail.com"
Login to adsense.google.com with your new account "zealmat@gmail.com"
Then Click On "Account Settings" from upper-right on your dashboard. Now on the left options choose "Access and authorization", then under it select "User management". 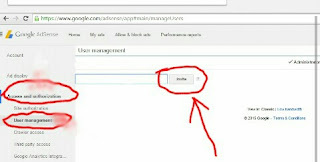 Now in the window under "User management", you have to invite your old account "buildin@gmail".com and click "invite". You will receive an email on your "zealmat@gmail.com" that you have been invited, you will have to click the link in the email to "Accept it". After accepting your invitation, you will have to "login" one more time to your "buildin@gmail.com" AdSense. Now repeat the step 3 and 4, but this time you don't have to invite your old account, but you will have to give it the administration role from the same window. I hope you really enjoyed this tutorial why not click on the share button below thanks.